Driving distance is 300* kms on NH212. Alternately, another route is through Nagarhole and Manathvady. 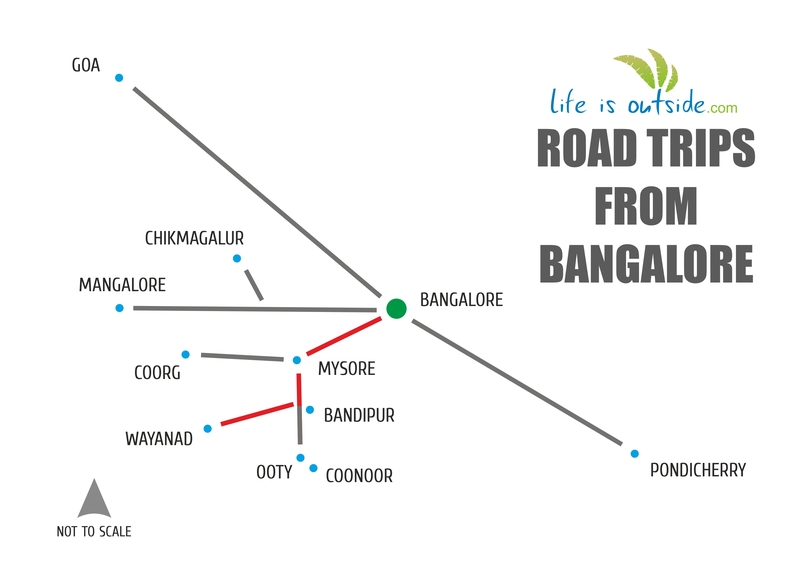 At Gundlupet, take a right from the Mysore Ooty road. 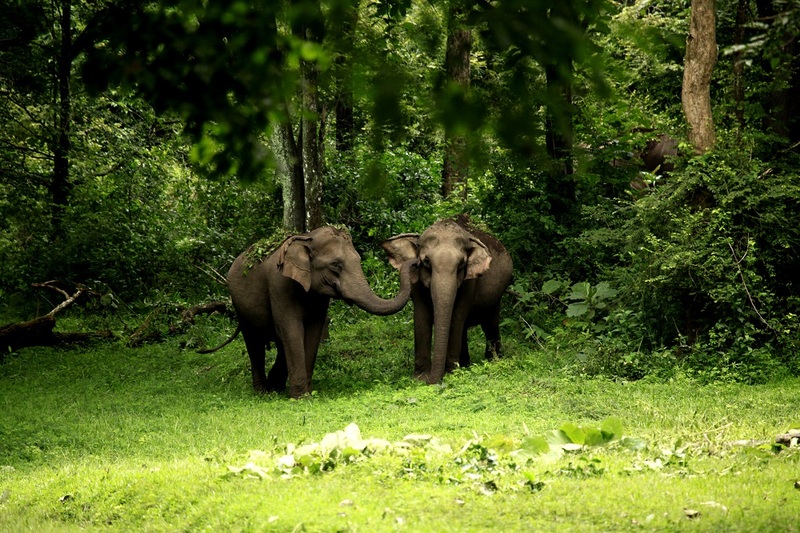 Under the purview of Project Elephant, Muthanga Wildlife Sanctuary (06:00 – 18:00 hrs) is between Kabini Reserve Forest and Bandipur National Park; the flora and fauna are quite similar to the latter. Elephant herds crossing and peafowls are a common sight. Past these forests plantations begin to emerge. One could visit the defunct Jain basidi at Sulthan Bathery, which was once an ammunition dumping ground for Tipu Sultan of Mysore. Learning that the forests were once reserved for private hunting by Mysore royalty, British viceroys and Russian Dukes, this location makes sense. For some more taste of history and culture, Wayanad Heritage Museum (10:00 – 18:00 hrs) at Ambalavayal is worth a visit. Nearby, an archaeological site called Muniyaras has some unearthed artefacts, most of which are placed in the museum. Edakkal caves (09:00 – 17:00 hrs) is a must visit; they are actually split stones with rare stone-age inscriptions lying on an ancient trading route up on hills. The caves, with three sets of petroglyphs are of high value to archaeologists. Enough debate goes on about its creation. Sentinal Rock waterfalls near Meppadi comprise three stretches – Meenmutty, Kanthapara and Soochipara. All require some amount of walking to get to the viewpoints. Tree top huts and rafting are specialities at Soochipara. 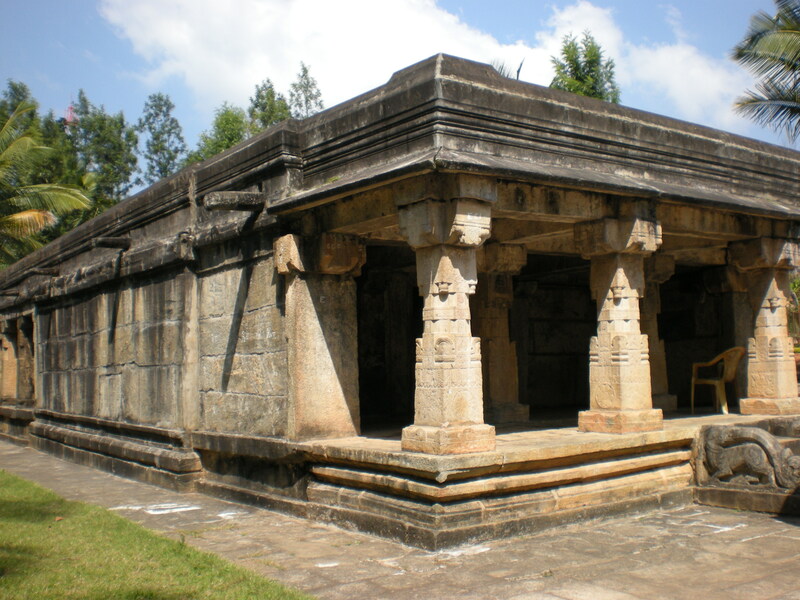 At Koottamundu near Kalpetta on the hillside of Vellarimala, is a Jain temple built traditionally but in glass. This is in honour of Jain saint Parshawanatha swami. One must notice classic architectural styles of row houses at Paingatteri Agraharam, a Tamil Brahmin settlement near Manathwady. Originally from Thanjavur, they are said to have migrated with royal Kottayam dynasty as cooks. Banasura Sagar, built across river Kabini is the largest earth dam in India and second largest in Asia. 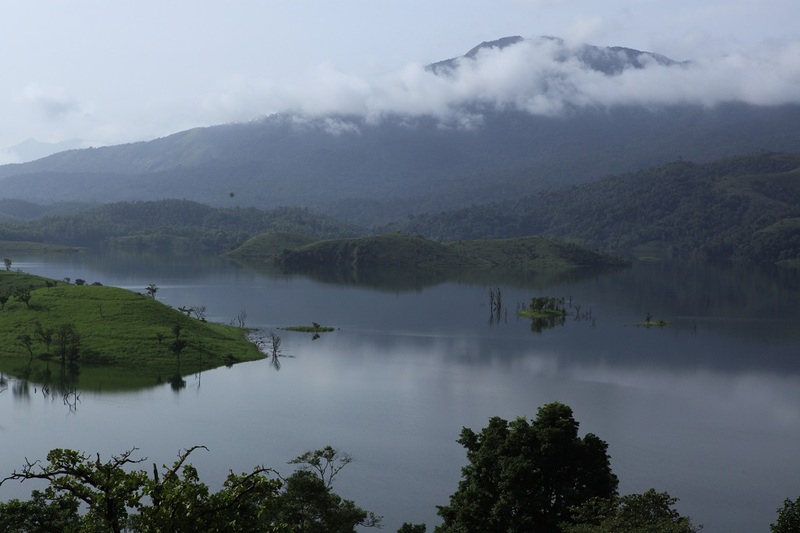 The lake here is stunning with hills around – Banasura peak on one side and Chembra peak on the other, both with their popular trekking trails. 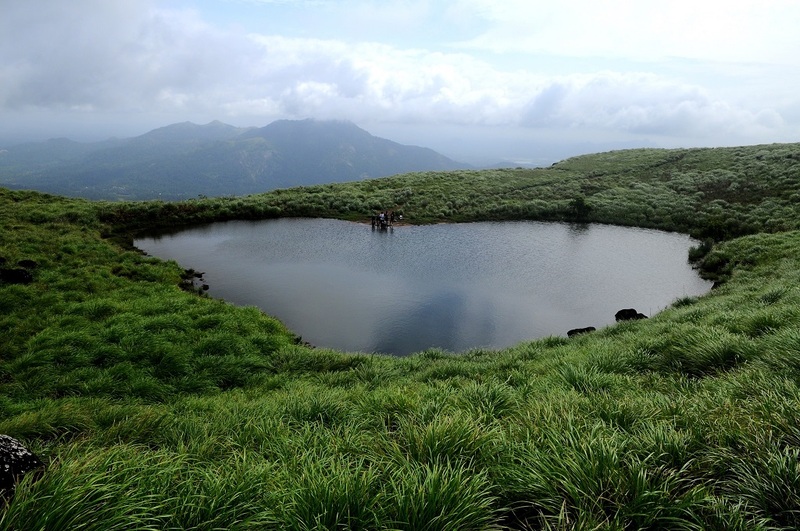 A heart-shaped small lake receives trekkers midway on the Chembra trail. Kuruvadweep is an island on one of river Kabini’s tributaries. Green forest cover abounds; it is a calm and serene environment meant for a stroll in the woods. It is uninhabited; picnicking and partying is better left outside the island. Nearby, Pakshipatalam is a bird sanctuary with rare species of birds and herbs. This is a great venue for trekking and photography lovers. Rishis used to meditate in the caves present here. 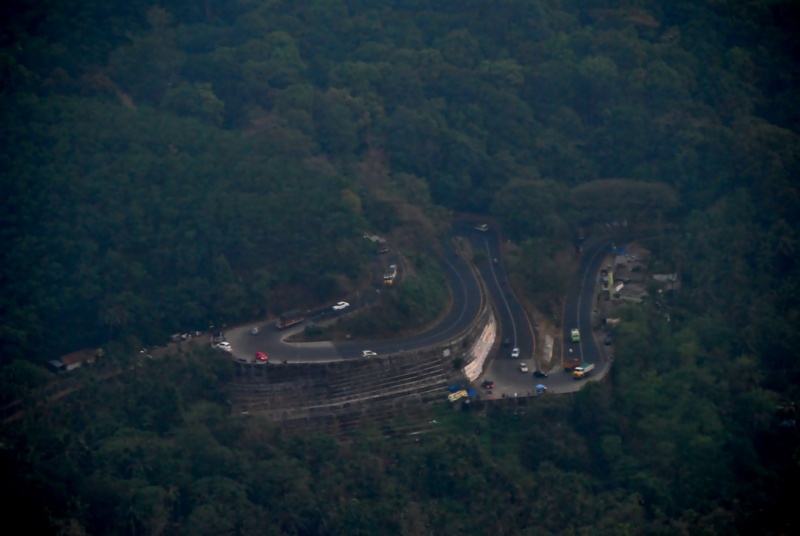 At the south-western tip of the district, the road exit to Kozhikode at Lakkidi offers an amazing view of the Thamarassery ghats called Neelimala view point. Further up is Chain Tree surrounded by a local myth. Apparently, an Adivasi boy named Karindathan, guided an English engineer into Wayanad. To take sole credit of the route, the engineer supposedly killed the boy, the spirit of whom haunted visitors here. But now, thanks to a priest, a prominent chain covers the ficus tree to bind the spirit there. Do not show off your driving/riding stunts, it could attract some unfortunate attention. It is better to know basic conversational phrases in Malayalam in case you need to communicate with tribals. 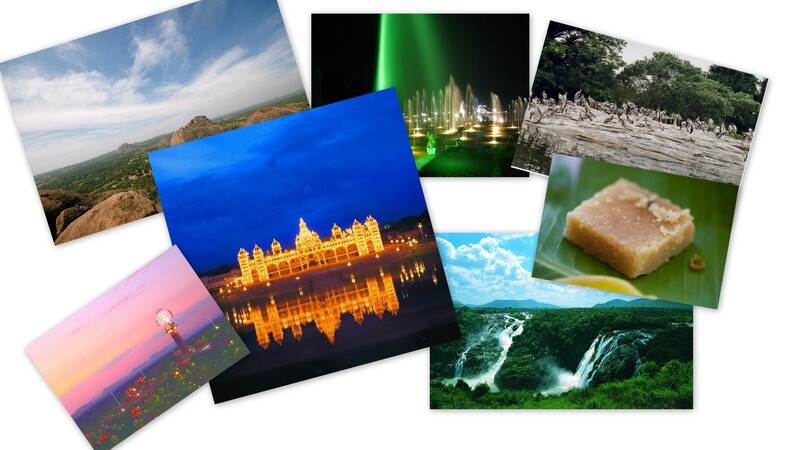 LifeIsOutside has a collection of hotels, resorts, homestays and camps amidst plantations and jungles. 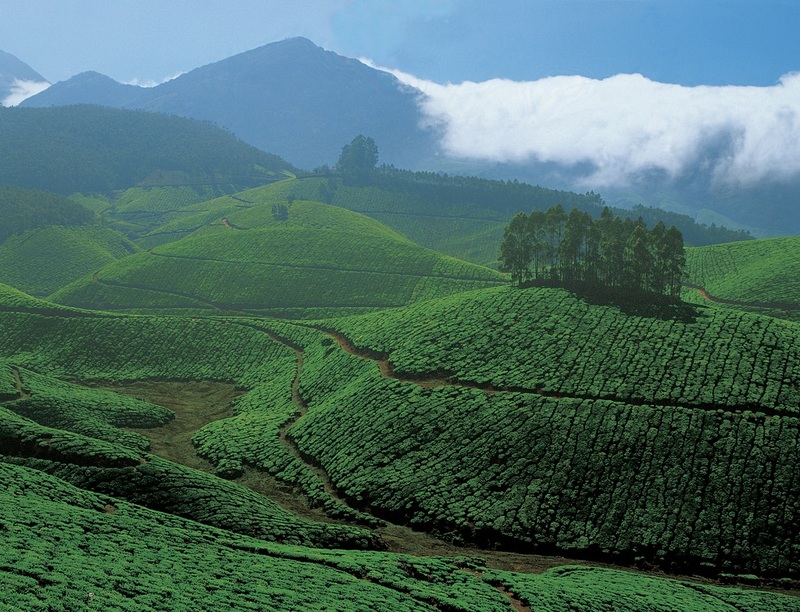 Explore Places To Stay In Wayanad.